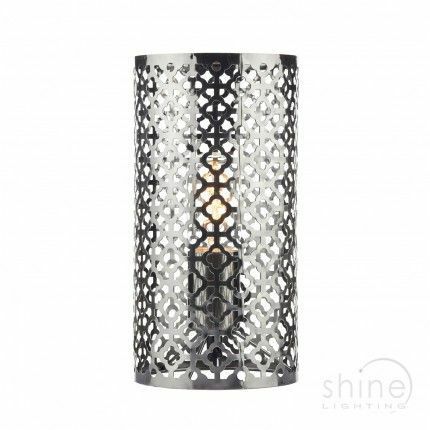 This week we have had a huge increase in people looking at the Moroccan themed lighting on our site. I would truly love to see the rooms some of the pieces are ending up in. That got me thinking – what would I need to do to redesign a room in the Moroccan style? I really hope some of our beautiful finds sparks off some ideas! This is really important. It will ensure that you don't go over budget. It will really help you with working out where to go for your pieces and fittings. 2. Decide on a basic overall look. - The Games room is a fantastic example of the use of a decorative light fitting and the use of fabric. The circus tent arrangement could be easily recreated in a bedroom space. - The Living room is a beautiful example of the use of soft furnishings to add bright colour to the space. The curtains also partition the space, so a great idea if you have an open plan living space. To balance out the bright colours, the light fittings, accessories and furniture are all very neutral. It’s actually a great example of the neutral background + bright accessories trend I highlighted the other week. 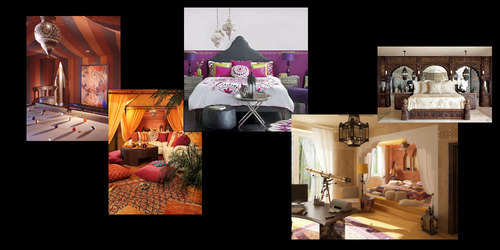 - The purple bedroom is a great example of an understated Moroccan design theme. It adds elements of the concept – bright colours, ornamental lights and soft furnishings. - The bedroom / study . This is a fantastic way of making a bedroom and study work really well in the same space. The Moroccan theme has really been picked up through the soft furnishings, accessories and the geometric patterns on the walls. It’s an understated design, but timeless. - Main bedroom in wood. This goes off the theme of the use of brightly coloured fabrics. However, it makes fantastic use of the geometric patterns carved into the wood and beautiful lights. It’s worth doing these early in the process. While you are waiting for them to arrive you can have fun painting / re-wallpapering and sorting out your floor. 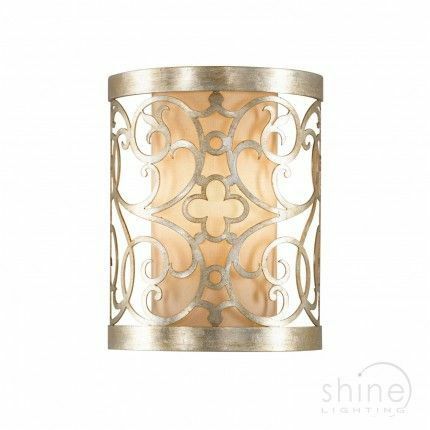 TaJ 8648CH - Ideal if you want to replace your current light fitting and are using bright colours with your soft furnishings. NE-96061 – Ideal if you don’t want to rewire. The light can be easily sorted by just changing the pendant. Arabesque 1 - I love the geometric patterns and the neutral colours would work well with the brightly coloured fabrics. This one does also have a matching ceiling light. 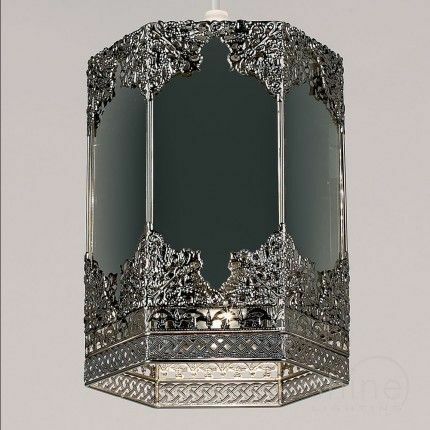 Ceylon CEY4161 - You can even add some gorgeous Moroccan style to your bedside tables. This one does also have a matching ceiling light. Ideal if you're looking for a set of matching items. 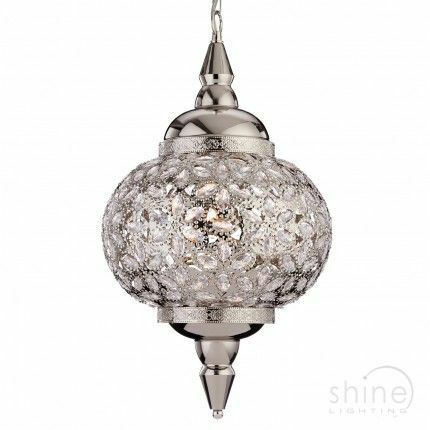 Kasbah Light chain – Want to add some colour and some decorative light to your space? Fairy lights are an ideal solution. These ones are LED -so you don’t need to worry about them getting warm. 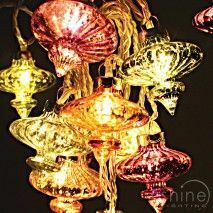 They are also made of glass, so these string lights look amazing on or off. The bright colours really match well with this theme. Not knowing that much about soft furnishings, we approached our friendly experts at Gilroy interiors for some advice. 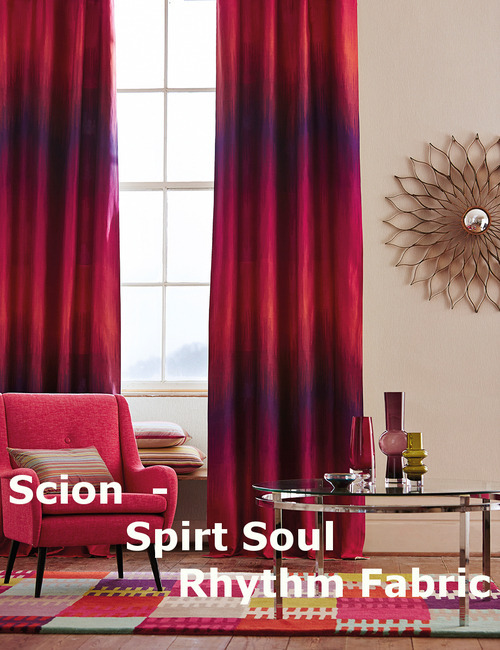 They recommended these beautiful full length curtains in the Spirt Soul Rhythm Fabric by Scion. They are a fantastic way of adding some bright colour to your space. If you need a creating a bedspread or cushion covers they will be more than happy to help you. 4. Find and order furniture or upcycle some old pieces. Moroccan themed furniture is surprisingly easy to find. I spent a very enjoyable half an hour searching through etsy.com . There are some amazing one-off pieces. 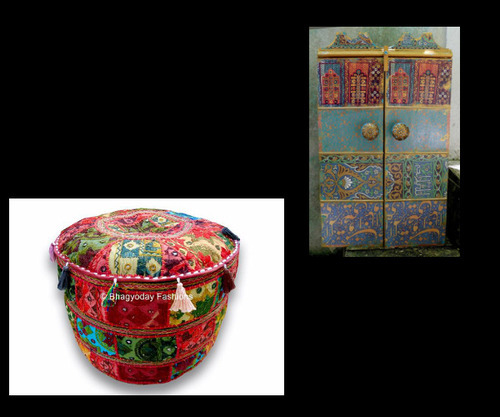 Our favourites were the beautiful cabinet (@marocasa1404) and this fantastically bright pouf (@poufbhagyodayfashio ). Even if you are just freshening up your current paint - this can make a real difference to the room. Depending on your space, you might want to consider a feature wall. It can be a great way of adding some extra colour. It is an ideal solution if that beautiful wall paper you found would take you over budget. One wall is a lot cheaper to redo! Note: if you’re adding in some new wall lights, make sure you sort out the wiring before you repaint or paper! This could be putting down a new carpet or using some wooden laminate. Although, you could save some pennies and plan your design to match your current floor! 9. Install your non-electric pendant and table lights and soft furnishings. This is where you’ll start to see the room coming together. It is time to add your new curtains, throws, cushions, bedspreads and remaining lights. You should have a really good idea of how the finished room is going to look. 10. Buy and install any accessories. Have you spotted some little accessories during your hunt? This is the time to buy them. You can use what you have left of your original budget. Leaving it until now means you don’t risk going over the top with it. A few well chosen beautiful pieces will look better than covering all of your remaining space!